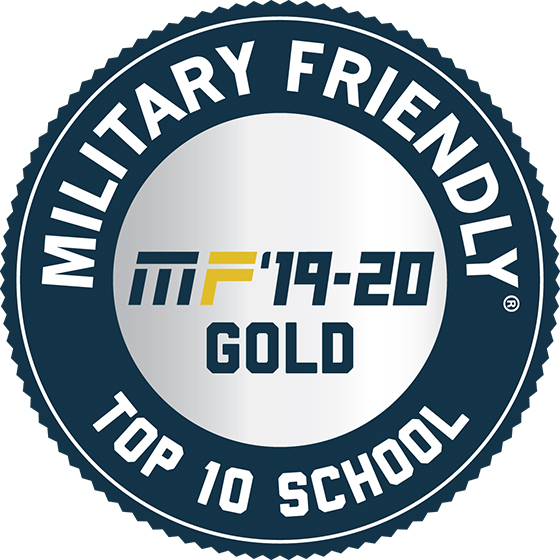 Upper Iowa University has announced that it has been named a Military Friendly® Top 10 Gold School Award recipient in the private university, not offering a doctorate, category for 2019-20 by VIQTORY (formerly Victory Media). Now in its 10th year, the Military Friendly® Schools list has come to set the standard for higher education institutions to provide the best opportunities for veterans and their spouses. This prestigious list provides a comprehensive guide for veterans and their families using data sources from federal agencies and proprietary survey information from participating organizations. A participating institution in the Principles of Excellence and Yellow Ribbon programs, UIU has been named a top Military-Friendly School or University by VIQTORY, Military Times, and Military Advanced Education on multiple occasions. Online undergraduate and master’s programs at Upper Iowa University have also been ranked among the best online programs for veterans and service members by U.S. News & World Report.